We are so excited to share with you previews of our January/February 2017 Release stamp sets. We have 9 stamp sets releasing (as well as a free with purchase must-have stamp set) on February 3, 2017 plus some cutaways! Do you love animals hugging? 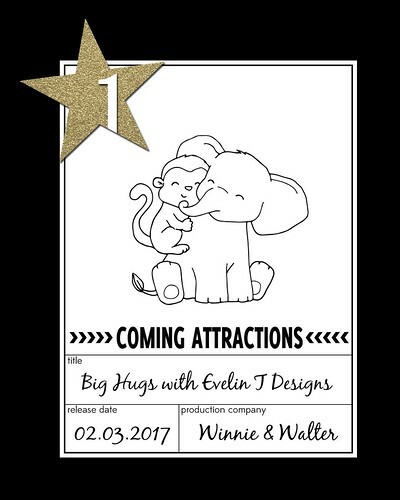 Then you will love our Big Hugs with Evelin T Designs. Full of big images wonderful for expressing love, friendship and inclusion this is a lovely set full of heart and happiness. Mini Scenery: Bed of Roses is so pretty and elegant for a lovely floral background! 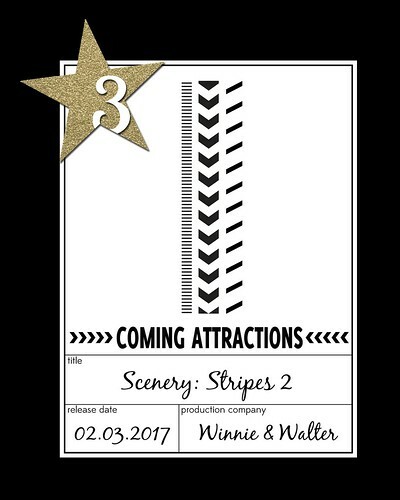 If you liked Scenery: Stripes, we think you are going to really like Scenery: Stripes 2 which offers some new types of stripes for background building and as borders. We are following up on Sentimental: Winter from our last release with Sentimental: Endearments and Sentimental: Love. You will find a ton of stylish sentiments for the special people in your life. Sketchy Thoughts can be used to add a whimsical sentiment to all the new animal images or on their own! 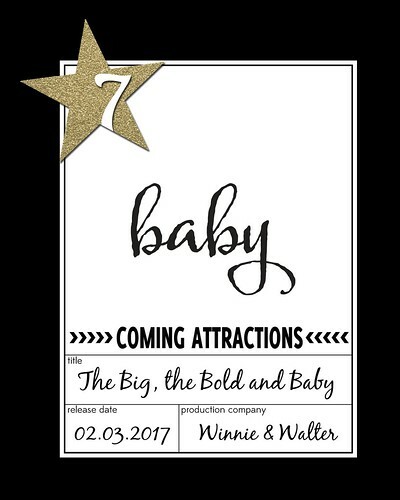 We are adding a new entry to our ever popular The Big the Bold series with The Big, the Bold and Baby. This is wonderful addition with sentiments that work for babies, children and more! Oh baby! Evelin of Evelin T Designs has brought adorable baby animals in Welcome to the Family with Evelin T Designs that we know you will love inking up! You will be able to purchase Sending You with Evelin T Designs which was our free with purchase stamp set for our last release. I have to admit this is another favorite of mine and a powerhouse little sentiment stamp set! We are so thrilled to share more with you over the next few days as we premiere the stamp sets beginning tomorrow, January 31, 2017. Darling! Looking forward to seeing more. Love the new critters by Evelin! Can't get enough of them! Looking forward to see everything. It was especially fun to see the Bed of roses, since I have been stamping my own bed of W&W roses onto some marbled vellum this weekend. Will hopefully be sharing the resulting card at the Gossip Column later this week. Oh, can't wait to see everything! It's all great but I especially love the Bed of Roses and that darling little bear! Love to see what set he's in. Big Hugs is now on my wish list! I can't wait to see the rest of the stamp set. Looking forward to the rest of the release. OH MY GOODNESS! Besides EVERYTHING....♥ IT ALL! Yeah, I am excited about Big Hugs! I just began a Copic beginner class and need large images to practice on plus I have 2 young grandsons who love colouring my images. These animals would be amazing and I can not wait o see the rest of the full release! Great sentiments and love Big Hugs. Awesome! I'm excited about the Big Hugs set, the sentimental sets and the Welcome To The Family set!!! Fantastic sneak peeks! Great sneak peek - I'm adding to my wishlist right now! Oh Shay, you've done it again!!!!! These all look so amazing, can't wait to see each of these in all their glory! Ah! This looks amazing already!!! Drooling to see more! Oh my...already smitten with what I'm seeing, and these are only peeks! Bring on the reveals! Ooh! So many cute designs! Love the bed of roses and Big hugs! Can't wait to see them all! Love these previews, particularly those adorable elephants, can't wait to see everything!!! These peeks are so fun!!!! I love the elephant stamp set! So much to love...eek! From cute to pretty to fun...this is going to be great. I'm extra happy to see more in the sentimental line. Woohoo! What an exciting release! I can't wait to see them all...oh the suspense! The bed of roses has won my heart, along with the fonts of the sentiments! Adorable little animals and a pretty bed of roses! Another great release, Shay. Can't wait to have some of this lovely realse.